What could possibly be one of the first occurrences of kinetic typography in film? Actually one of the very first films ever made, the two part film George Demenÿ écrivant son nom (1893), made by Etienne-Jules Marey and his assistant Georges Demenÿ, contains what appears to be ‘moving text’. These films, which belong to the incunabula of cinema history, were made three years before the official birth of the cinema with the first screenings of the Lumière Brothers at the Salon Indien du Grand Café in Paris in 1995. 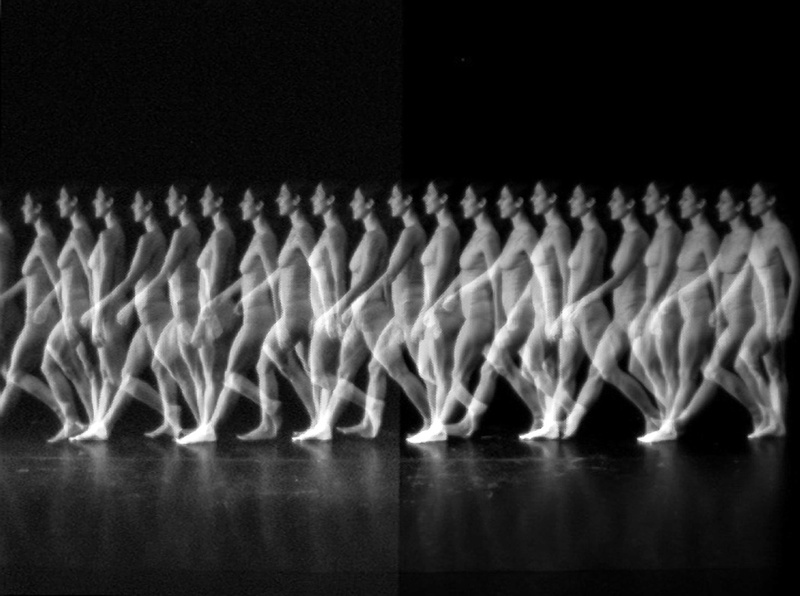 Marey (1830–1904) and Demenÿ (1850-1918) both worked at the Station Physiologique in Paris and did research into the movements of the human body and other moving phenomena such the movements of air. Trying to develop a ‘scientific method for the study of motion’, they started with chronophotography first on glass plates and from 1888 on unperforated film strips. At a certain point Demenÿ devised a projector to view the chronophotographs, the Demenÿ ‘Chronophotographe’ beater movement camera/projector. After all, when you’re able to analyse movement in its subsequent phases on separate photos, it should also possible to synthesise the same images to a moving image. Marey and Demenÿ used the newly invented flexible and transparent celluloid strip to film the opening and closing of the hand, the flexion and extension of the arm and the hand writing in very shorts clips (sometimes as little as 12 images). Many of those film clips can be viewed on YouTube. In the following film we see Georges Demenÿ writing his name, the first letters in de first clip and the last letters in de second clip. [youtube]http://www.youtube.com/watch?v=zP1ADeaQPTg[/youtube] Although we see Demenÿ’s name emerge on the screen, the letters themselves not really move or change. The same can be said about these two early films of the Lumière brothers, actually the first examples of product placement in film. The first film which was shown in New York at Keith’s Union Square Theatre with the English title Washing Day in Switzerland (Promio, 1896) and shows two women washing laundry with in the front two cases of Sunlight soap with the text Sunlight Savon in French and Sunlight Seife in German. [youtube]http://www.youtube.com/watch?v=UxkJbC2-EuY)[/youtube] The second film, Défilé du 8e Battalion (1896), shows a wheelbarrow with the Sunlight Soap logo which is moved prominently in the front of the camera with the parade on the background. [youtube]http://www.youtube.com/watch?v=j4hP2fL8liE[/youtube] At the other side of the ocean Thomas Edison made the first real commercial, a cigarette advertisement for Admiral cigarettes (Edison Kinetoscope, 1897) [youtube]http://www.youtube.com/watch?v=Wk5Bqn6VlF0[/youtube] In all these examples not the letters move but fixed text is moved around or placed on the foreground, or we see the letters being written. We only speak about kinetic typography’ or ‘moving letters’ when the letters seems to move or change independently, we don’t see who or what is the cause of their movement.